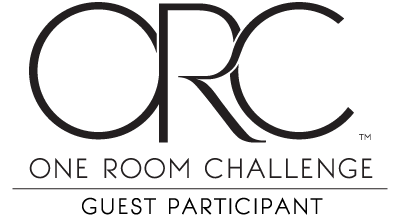 I'm back for week two of the One Room Challenge. Since I was so late to get started on this One Room Challenge I've only had a couple of days to pull the design plans together. As I mentioned last week the makeover is taking place in my 12 year old daughters room. Like any "client" she has some definite ideas on what she wants and my challenge is to make it all work together. Here are a couple of inspiration images she shared with me. "I like wood because I like nature. Maybe a big branch with some flowers hanging off it. Birds, I like birds. Oh and I really want a hanging chair. Don't forget I want something on the window to make it dark. And I want blue, not boy blue but like a soft teal blue. " Oh boy!! Can you say demanding, she wants it all, this might be my toughest "client" yet. So with all that in mind this is the plan we've come up with. A fun boho chic space! We're going to start by painting the walls grey, then we're bringing in the soft teal blue with the bedding and window treatments, probably a roman shade to make sure it gets nice and dark. Some bright and fun artwork to add a pop of color and of course the hanging chair. So things are being ordered and paint samples are going on the wall. See you next week for the progress.